The TAP (Trans Adriatic Pipeline) consortium developing an infrastructure project to carry natural gas from Azerbaijan to Europe, via Greece, Albania, and the Adriatic Sea, has appointed Ian Bradshaw as its new managing director, beginning on February 1, it announced today. Bradshaw’s predecessor, Kjetil Tungland, will return to Norwegian state-owned company Statoil, which holds a twenty percent stake in the TAP consortium, after having served at the TAP consortium for over four-and-a-half years. During Tungland’s tenure at TAP, the project was chosen, in June, 2013, as the prefered European pipeline for the transmission of natural gas from Shah Deniz II to Europe. 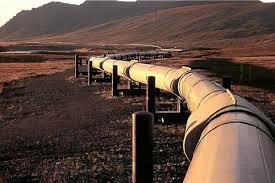 Lane also offered his gratitude to TAP’s outgoing managing director for his services, highlighting Tungland’s leadership, which he said was instrumental in helping TAP be chosen as the prefered Azeri-European gas pipeline. Bradshaw, TAP’s new managing director, previously served at the BG Group, a leading gas exploration corporation, from 2005, at various high-level managerial posts. Overall, Bradshaw’s background in the international oil and natural gas industry stretches back 34 years, and includes tenures at Shell bases in the UK, Netherlands, Malaysia, and Norway.